Kofi Kingston will compete for the WWE title at Elimination Chamber after an injury to Mustafa Ali. Ali had been scheduled to enter the six-man Chamber match in which Daniel Bryan's championship is on the line, at the Sky Sports Box Office event on Sunday, but was hurt in an attack by Erick Rowan last week and will now sit the event out. 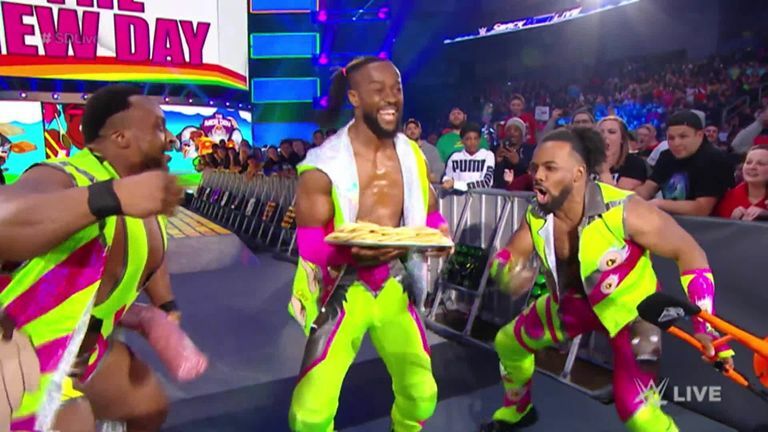 Kingston was selected by his fellow New Day members to represent them in the match which meant he was inserted into the gauntlet match on last night's SmackDown to establish the order of entry in the Chamber match. He had a great start, eliminating champion Bryan after a Trouble in Paradise and then Jeff Hardy with an SOS. It got even better for Kingston as he beat Samoa Joe but a post-victory attack by Joe left him softened up for the next competitor, AJ Styles. Styles eventually saw off a spirited Kingston with a Calf Crusher only to be blindsided by a textbook RKO out of nowhere by Randy Orton as The Viper took the final Elimination Chamber entry in typical style. Elimination Chamber entry places were also up for grabs in a triple threat between the three SmackDown pairs who will compete for the WWE women's tag titles on Sunday, with the losing duo joining Sasha Banks and Bayley as the opening entrants. That dubious honour goes to Mandy Rose and Sonya Deville, who were defeated by Fabulous Glow in a match which saw some superb springboard-based offense from Naomi. Their post-match joy was short-lived however, as the IIconics, who never actually tagged into the match, launched a beatdown which saw both Naomi and Carmella sent flying into the corner ringpost. To a chorus of boos and "we want Becky" chants, Charlotte Flair addressed a hostile SmackDown crowd to celebrate her promotion to a WrestleMania match against Ronda Rousey. Flair spoke about how it was a "smart business decision" by Vince McMahon to put her in against Rousey and not a "flash in the pan like Becky Lynch" because she is a guaranteed future Hall of Famer. She then promised to dedicate her WrestleMania victory over Rousey to her "best friend" Becky Lynch as the crowd were unable to contain their absolute disgust. WWE SmackDown is repeated in full every Wednesday at 10pm on Sky Sports Arena.